Fearing an even bigger spread of Christianity across China, the CCP has taken extreme measures over the years to clamp down on what they consider religious activities—for instance, humanitarian aid to people in crisis. After a 7.0-magnitude earthquake struck Ya’an City in southwestern Sichuan Province on April 20, 2013, Christians immediately stepped forward to help. They sent food and clothing; they set up free remedial classes at the disaster areas; and they helped the villagers with their work. The kindnesses of the Christians helped spread the gospel, exactly what the CCP had hoped to avoid. The locals approved of the Christians’ efforts, and after a few years, the gospel gradually spread around the area. However, it was precisely this that the CCP was unwilling to tolerate. 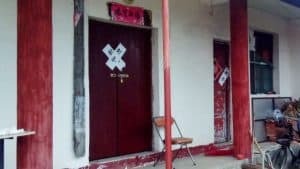 On September 11, 2017, a 57-year-old female Christian, who had come to Ya’an City to set up remedial classes and stayed there, was arrested by local police along with three other young Christians, all of whom were detained and questioned about their activities. 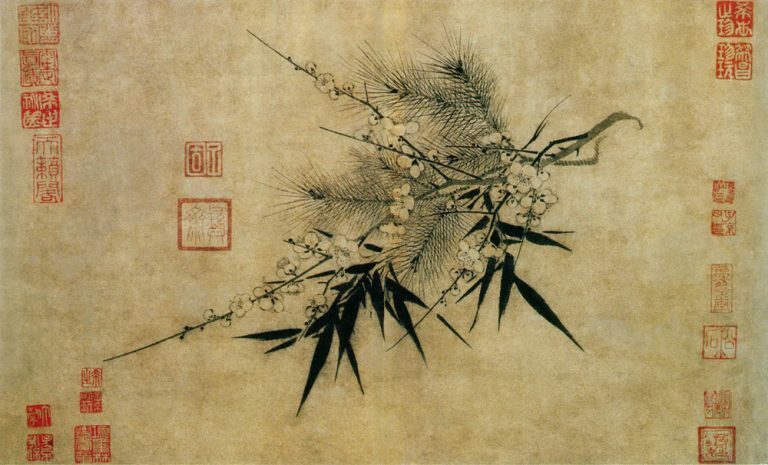 Then the three young people were sent back to their hometowns, while the 57-year-old stayed in Ya’an. But not before government officials spread lies about them, accusing the Christians of human trafficking. As a result, the woman was forced to shut down her classes and move to a neighboring town, which refused to rent her lodging, thanks to threats from the authorities. Because they were told they’d get arrested if they took any aid from the woman, she was basically boycotted by the people in town and forced to return to Shanxi Province, in the north of China. The CCP still surveils her by tracking her cell phone. The Christians in Ya’an City aren’t alone in their experience. In July 2012, a house church preacher and four Christian university students went to Tongliao city in Inner Mongolia Autonomous Region to provide volunteer medical services to local villagers, offering blood pressure readings and providing glasses prescriptions and treatments for ailments. At the same time, they preached the gospel to the villagers. They didn’t expect to be reported to the CCP, but they were, and six Christians were arrested. One police officer stripped the belt from the preacher’s pants, wrapped it around his throat and dragged him to the squad car, one of the Christians said. The preacher was also beaten and then taken to the hospital. His chest had been hit so hard on the left side that some of the soft tissues had been displaced. On September 21, 2017, a Christian from a house church in Shaoyang City, in southern Hunan Province, was handing out business cards to nearby pedestrians while selling her own products. But because her cards contained Christian content, within 30 minutes she was surrounded by five police officers who escorted her to the local police station, questioned her, confiscated her business cards and warned that if she distributed them again, she’d be fined. The following September, some Christians were distributing gospel tracts to passing tourists at Huilongwan Forest Park in Yichun City, in northern Heilongjiang Province. Soon, they were dispersed by local authorities and nearly 20 of them were taken to the local public security bureau. And despite the persistent threats of imprisonment by government officials, many Christians insist on spreading the gospel, believing it is one of their most important duties. 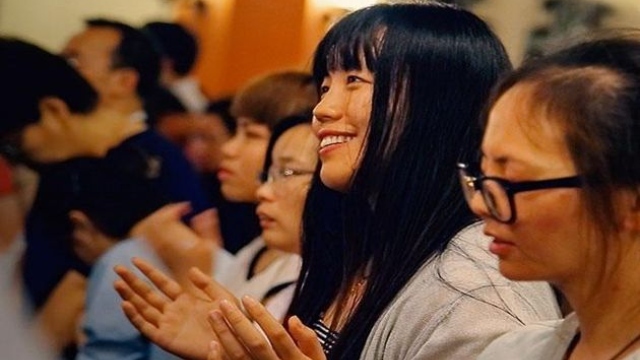 That’s how a Christian from a Sola Fide (Justification by Faith) house church in Yangchun City, in the coastal province of Guangdong, has been arrested three times in three years. In 2016, the Christian was driven away from the Yangchun City Railway Station by police for distributing gospel tracts and in September of the same year, he was arrested for distributing gospel tracts, on the grounds that it is illegal to spread the gospel in public areas. 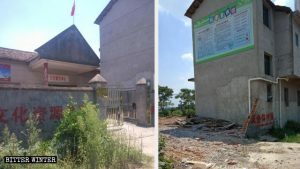 In August of 2017, he was giving out gospel tracts at a park in Yangchun City when the police arrested him on the grounds that “preaching the gospel in public places constitutes pollution of the environment.” The next morning, he was escorted back to the congregation site where he attended religious meetings—the police confiscated two computers, Holy Bibles and 40,000 copies of gospel tracts. 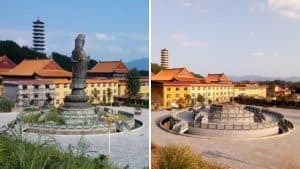 In June of 2018, the Christian was distributing gospel tracts at the entrance to a school in Yunfu City when he was arrested again. Just like in the rest of the country, the CCP’s control over evangelizing on campuses has grown tighter. On July 18, 2018, the United Front Work Department (UFWD) of the municipal party committee of Jiamusi City, in Heilongjiang Province, the city’s Ethnic and Religious Affairs Bureau, and the Jiamusi City Education Bureau jointly issued the document entitled Notice on Legal Investigation and Handling of Domestic and Foreign Influences Taking Advantage of Summer Vacation Periods to Evangelize Students, which forbade evangelism geared toward students. 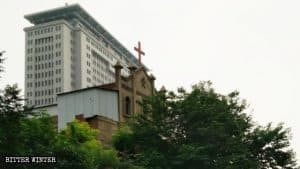 Over at Shandong University in September 2016, two Christians from the Sola Fide church in Shandong’s Qingdao City were arrested for spreading the gospel. Afterward, the head of a congregation site for Christian university students was arrested. 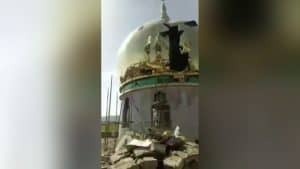 The police confiscated his cell phone and stole important, and private, data concerning the church before tying the church head to a steel chair and beating him for even more information on church leaders. Even those who travel far away to preach at universities outside of their own provinces are being monitored and arrested. On October 1, 2018, a young Christian was interrogated for hours by personnel from the Public Security Bureau and State Security Bureau of Zibo City in Shandong Province over his evangelizing on a university campus in Heilongjiang six months prior to his detainment. Police, naturally, ordered him to stop—or else.